Give your career a tune-up. As a car lover, you don’t just love to drive—you’re passionate about the craftsmanship of cars and are curious about the engineering that goes in to each vehicle. Well, your love for cars doesn’t have to end in your garage. Auto jobs can put you on the fast track to a great career. According to Statista, 79 million automobiles are expected to be sold around the world by the end of 2019, and skilled workers will need to care for all those cars. Using data from the Bureau of Labor Statistics and Payscale, Monster found 10 car jobs that can help you shift your career into high gear. What you’d do: Love rolling up your sleeves and tinkering with your car? 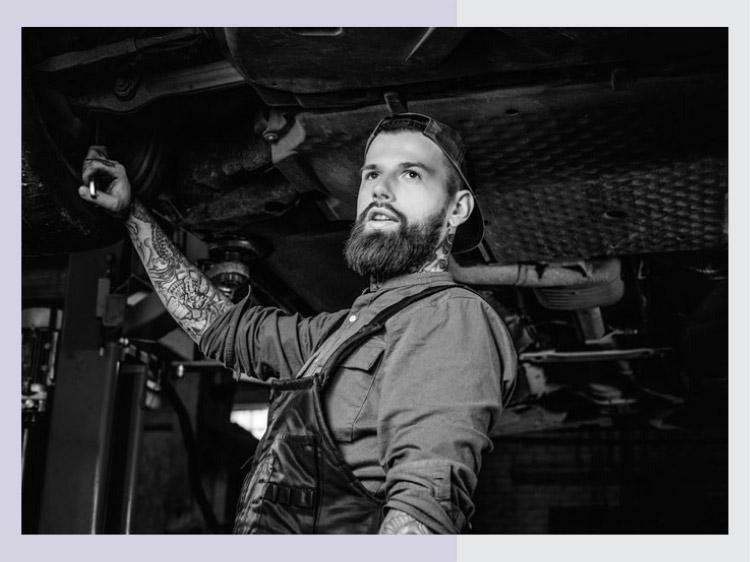 You might be the perfect fit for a career as an auto body technician, where you’d be responsible for safely and efficiently fixing customers’ cars, whether it’s repairing car frames, suspensions, wheel alignments, or otherwise. What you’d need: There’s no bachelor’s degree for auto body technicians, but employers do prefer to hire people with an Automotive Service Excellence (ASE) certification, or a similar degree. View this sample resume for an auto mechanic. Find auto body technician jobs on Monster. What you’d do: There are many considerations when designing and building cars—safety, style, fuel efficiency—the list goes on and on. Automotive engineers design new cars and seek to improve current models. Along the way, they’re given many different challenges, depending on the manufacturer’s needs (for example, designing a car that you’ll be able to drive fast and meet fuel efficiency requirements). Find automotive engineer jobs on Monster. What you’d do: Auto sales managers are the proverbial drivers who keep car dealerships in motion. From forecasting to managing a sales team and maintaining inventory levels, you’d oversee many moving parts, while also helping customers choose the perfect vehicle and sign on the dotted line. What you’d need: Typically a bachelor’s degree in management or business is helpful in landing a job, plus a few years of experience in sales and/or management. View this sample resume for a sales manager. Find auto sales manager jobs on Monster. What you’d do: Working in a classroom/shop environment, automotive instructors teach students (high school or college, usually) about topics like engine repair, transportation, and others related to common automotive industry careers. This job is a perfect opportunity to share your passion for cars with others. What you’d need: Along with a bachelor’s degree, automotive instructors that work in public schools (many do) may need a teaching license. Find automotive instructor jobs on Monster. What you’d do: Cars get dirty—it’s inevitable—and that’s where car detailers come in. You’d restore that coveted new-car look and feel by cleaning cars’ interiors and exteriors, including windows, wheels, and more. What you’d need: No formal education or degree is required to become an auto detailer, but on-the-job training would teach you about which auto cleaning products (such as waxes, detergents, and polishes) are used to get the job done. Find car detailer jobs on Monster. What you’d do: From vacationers to business travelers, Americans rent a lot of cars. As a car rental agent, you’d help customers rent the vehicle of their choice, handle documentation, and answer their questions. What you’d need: No formal education degree is required to become a car rental agent. On top of stellar customer service, car rental agents must have a valid driver’s license and a clean driving record, as well as basic knowledge of car parts. Find car rental agent jobs on Monster. What you’d do: Think about how much wear and tear tires endure on a regular basis—their upkeep is an essential part of a car’s longevity. Tire technicians service customers’ tires, replacing and repairing them. Oftentimes they’ll work as part of a larger automotive technician team at a warehouse or auto body shop. What you’d need: A high school diploma and valid driver’s license will get you in the door. Strong math skills and experience in car repair are plusses. Find tire technician jobs on Monster. What you’d do: Feel like being an everyday hero? Tow truck drivers show up in emergency situations to rescue broken down and damaged cars (not to mention the owners of those cars), and safely transport them to a local garage for repairs. What you’d need: A valid driver’s license and clean driving record will get you in the door. You may also need a commercial driver’s license (CDL), depending on the company. View this sample resume for a truck driver. Find tow truck driver jobs on Monster. What you’d do: Many higher-end clubs, restaurants, and hotels employ valets to park guests’ cars safely in their parking lots and retrieve them when guests are ready to leave, allowing you to experience getting behind the wheel of a variety of vehicles—if only for a few minutes. What you’d need: You’ll need a valid driver’s license, a clean driving record, top-notch customer service skills, and have a habit of being punctual—no one wants to wait for their car. Find valet jobs on Monster. What you’d do: If a car is making a funny noise or just isn’t performing as it should, a vehicle inspector is put on the case. As a vehicle inspector, two of the most common questions you’ll investigate is whether or not a car actually needs repairs, and if so, what kind of repairs. Beyond making this diagnosis, vehicle inspectors test drive cars to make sure they’ve been successfully fixed, and also perform post-repair inspections. What you’d need: Along with a high school diploma, vehicle inspectors typically receive on-the-job training. You’ll need a knowledge of car parts, processes, service standards, as well as vehicle makes and models. Find vehicle inspector jobs on Monster. There are plenty of opportunities to put your love and knowledge of cars to work for you—literally. The more you can get in front of hiring managers, the better your odds are of getting the call. Need some help? Join Monster for free today. As a member, you can upload up to five versions of your resume—each tailored to the types of jobs that interest you. Recruiters search Monster every day looking to fill top jobs with qualified candidates, just like you. Additionally, you can get job alerts sent directly to your inbox to cut down on time spent looking through ads. Pull your career into the fast lane today.